David Alaba says Bayern Munich are dreaming of a repeat of their 2013 treble as well as victory over Liverpool in the Champions League. The Bavarians have recovered from a poor start to their Bundesliga campaign and are second behind Borussia Dortmund as they prepare for their domestic season to resume on January 18 against Hoffenheim. Niko Kovac's men travel to Anfield on February 19 to face Liverpool in the Champions League round of 16 and Austria defender Alaba said the club is aiming for success on three fronts, with a DFB-Pokal clash against Hertha Berlin also around the corner. 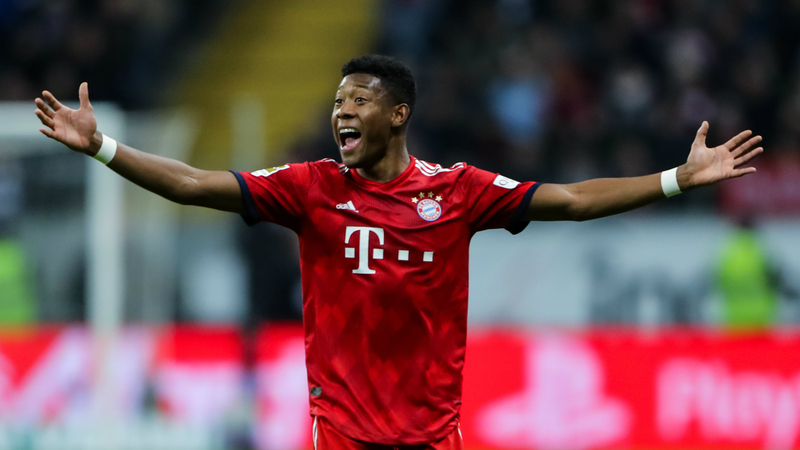 Alaba, 26, was part of the Bayern team that clinched the Bundesliga, DFB-Pokal and Champions League in 2012-13 and he said a repeat this season was not out of the question. "The triple is a dream!" Alaba told BILD. "And of course we want to realise that. "I want to be successful with the national team and Bayern." Liverpool suffered their first Premier League defeat of the season in a 2-1 reverse at Manchester City's Etihad Stadium on Thursday, while Bayern have lost three Bundesliga matches so far in 2018-19. With six matches to come before their clash with Jurgen Klopp's men on Merseyside, Alaba issued his side with a rallying cry. He added: "Everyone is beatable, many things are possible in football. We have often seen this. "Now we have to do a good preparation. It is important to stay healthy and to give full throttle."